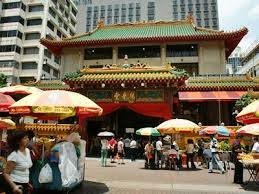 Singapore is a tourist destination which is a favorite of all, regardless of age or nationality. The tourist spots attract the visitors to the country like a bees attracted to pollen laden flowers! Most of the people who visit the place learn all about the Singapore Flyer, Sentosa, Marina Bay Sands, Night Safari, Clark Quay, Butterfly park,Universal Studios and many more within a day or two of arrival! The little known secrets and the gems that lay hidden in this beautiful place are what I would like to share with the readers! 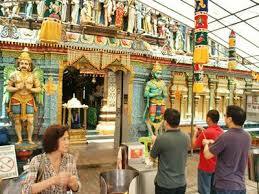 There are scores of Chinese, Hindu, Buddhist, Sikh temples and Gurudwaras across the land scape. No matter what may be the religious leanings, it is not unusual to see the Chinese praying in the Hindu temples and likewise Indians praying at Chinese monasteries following their traditions like lighting the incense sticks, bowing before the almighty with folded hands and gently swaying the bodies in rhythm! In fact the Sri Krishna Temple and the Kwan Im Thong Hood Cho temple situated at Waterloo Street are a living example of how different faiths can coexist with harmony for generations. The flower and incense sellers cater to both the faiths. The place is now a heritage site! 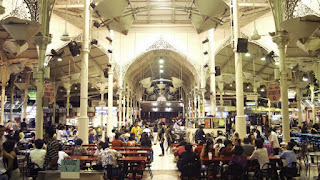 There is a galore of very clean places to eat located all over the city. Most of the HDB (Housing Development Board) high rises have Food Complexes that sell cheap cuisines. On an average a Singaporean eats 9 to 10 times a week outside! 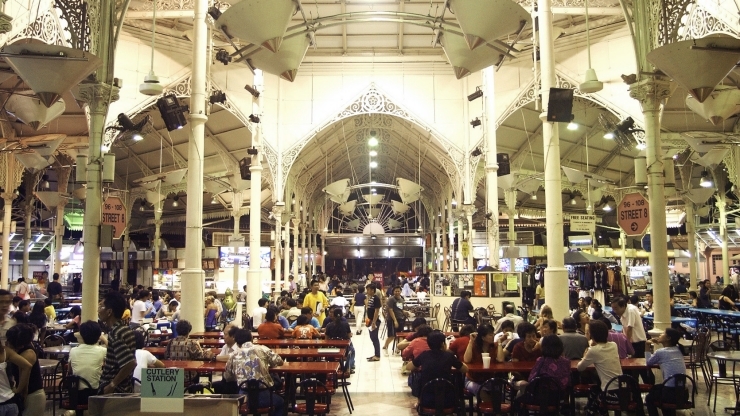 Besides this there are huge food courts at Tekka Market in Little India, Bugis and Lau Pa Sat near Raffles Quay which cater to all global cuisines. Surprisingly, one will not find overweight people but lean and well-toned bodies instead! It is unlikely to spot a beggar on the streets! The people love to keep the city sparkling clean and even the shades of bus stand do not have dust or fallen leaves. Most of the roads are cleaned with sweeping machines, the trees regularly pruned, and grass manicured. Even the gods are kind, that it rains every few days or sometimes more than once a day to keep the city sparkling! 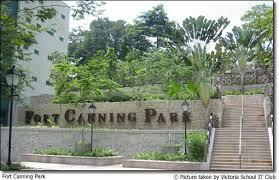 Fort Canning Park situated in the midst of CBD (Central Business District) is a wooded area with trees more than three hundred years old, rare flowers and fauna! It is also at the highest altitude! It is a treat to walk through the dense foliage in company of tweeting of rare tropical birds and early morning and sunset time is perfect to enjoy the chatter of the birds. During the second World War the place was a military barrack! The Orchard Road which has unending high rise shopping and business complex is also lined with very dense green trees where hundreds of birds that tweet atop the trees at sunset. The Mustafa store is perhaps the only one in the world to remain open 365x24x7 with every possible merchandise available under one roof! It is a Mecca for shopaholics! If you love coffee and toast the city has unending vistas like Ya Kunn Kaya Toast and Toast Box spread in all parts of the city that serve the most delicious variations of coffee besides snacks and Kaya Toast under $5. Even during the busy hours of the day a ride in the local SMRT buses or metro train, is comfortable and quiet sans loud voices! It is a very techno savvy city that has the highest number of smart devices on which the local populace is glued most of the time! I had a surprise waiting for me when I joined Sadhana Sanctury -A Yoga Training Centre where the sessions are conducted mostly by the locals ! They flawless execute and teach all the ‘Yogasanas’. The classes run for all seven days and are a raging favorite with locals and international clients equally! Every street has a story to tell so one just needs to take a walk around the city to catch some glimpses of the city that never sleeps! Stories of the historical past are splattered on eye catching small hoardings! The city never sleeps and one not to be missed grand spectacle is the free light and sound show by the Marina Bay every night! A short video of the same taken during the show is attached below. Singapore has been on my bucket list since forever! Your post has only made me want book tickets like right now! I always like to explore the hidden gems. It's nice to know that both the religion are existing in harmony. And Sir, it's only because people take pride in keeping it clean, Singapore is clean. Light and Sound show is lovely. There one in Atlantic City during Christmas eve, it's amazing and free. I know your love for exploring new places Saru as I seee the pics on FB:) So I now know when to plan my next trip to Atlantic city! I have heard a lot about this place and your post adds to the attraction. Thanks a lot for reading, Induji! Yes, it is on my travel list. ;) Thanks for reading, Rachna! Clark Quay, Marina Beach and Orchard Road are my fav spots. Haven't seen the temple you mention. And yes, how can I forget Singapore Eye....truly memorable. 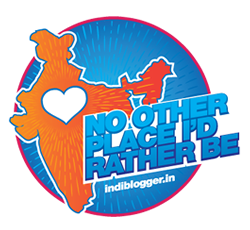 Those places are a delight anytime, Alka! That was interesting and informative. I went to Singapore once a number of years ago, but I'm afraid I stuck mainly to the types of places you mentioned in your first paragraph! I feel a bit ashamed to be such a predictable traveller! If I ever have the chance to go back, I'd love to see some of the other places you mentioned, especially the temples in Waterloo Street. Singapore has been on my wishlist for a long long time now! Thanks for sharing the lovely pictures. Thanks a lot Rachna , for reading! When I visited some years ago, I didn't get to see a whole of the city. :( Nice to see a list different from the well heard-of attractions. These do look like hidden gems. Your observations are perfect ,Divya! A safe city that has tons of attractions and children friendly too!